Gite recently renovated, located in center market town, opened all the year. 10 minutes from the Puy du Fou. Ideal for family with young children: possibility of returning for lunch and the nap of the small ones. In front of the public park (ping-pong table). • floor: 3 bedrooms: 2 with a bed of 2 places and 1 with 2 beds of a place. Bathroom with toilet, shower, furniture with 2 basins. Beds with mattress covers and blankets. Hire of bed linen and towels on request. Shops nearby, within walking distance. Lake with possibility of fishing to 300 meters. 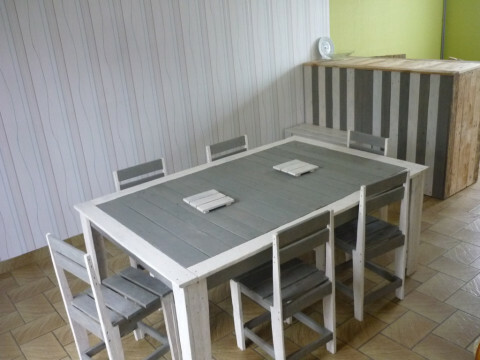 Facilities: garden furniture and barbecue. Minimum rental: 2 nights. For any additional night, add 50 euros to the rates advertised according to the period. Discount on last night in case of weekly rental.